September 29, 2009  Over the past year, top warlords from Colombia's once-fearsome paramilitary movement have been extradited to the United States on drug-trafficking charges. But some Colombians — and the country's high court — say those extraditions are preventing them from testifying about atrocities at home. 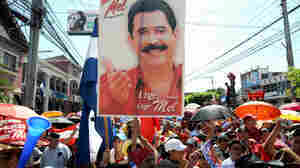 September 23, 2009  Ousted Honduran President Manuel Zelaya shocked the world when he arrived in his home country yesterday after smuggling himself in. The ousted leftist has received support from the overwhelming majority of countries around the world, including the United States, who want to see him back in office. 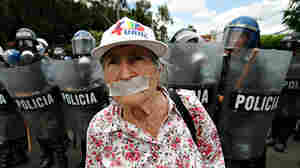 Foreign Policy Magazine Editor-In-Chief Moises Naim offers the latest from Honduras. September 23, 2009  The nation's busiest border crossing was closed to northbound vehicle traffic for hours Tuesday after federal agents fired shots to stop three vans suspected of smuggling illegal immigrants from Mexico. The 74 people crammed into the vans were taken into federal custody. September 22, 2009  Medellin, Colombia, was once a drug battleground; today, it is a colonial jewel with sidewalk cafes and open-air bars. Mexico's border city of Juarez has taken Medellin's place as the ground zero in the war against drug cartels. The former mayor of Medellin will be in Juarez to talk of his city's transformation. Juarez residents, traumatized by the highest homicide rate of any major city in the hemisphere, are desperate for answers. September 17, 2009  The Interoceanic Highway will stretch from Brazil's Atlantic coast to Peru's Pacific ports, creating economic opportunities for locals. But conservationists worry about risks to the Amazon rainforest. September 17, 2009  Peru's rainforest is full of rare and exotic species — and environmentalists say that if it is shielded from development, it can act as a kind of Noah's ark, saving endangered flora and fauna. Conservation groups are coming up with innovative new ways to protect it.